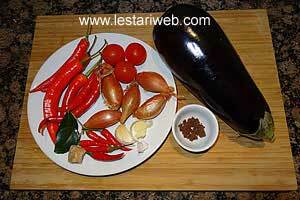 1 Put chilies, shallot, garlic, tomato & dried shrimp paste in a blender or food processor & blend into smooth paste. (If necessery add a little bit oil to help the blending process). 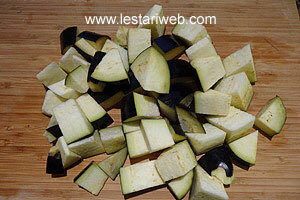 2 Wash the eggplant/aubergine, cut in cube & put aside. 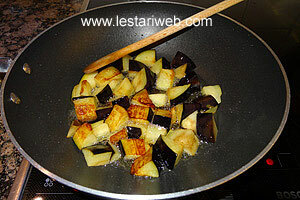 3 Heat 200 ml oil in a large frying pan over a medium-high heat. 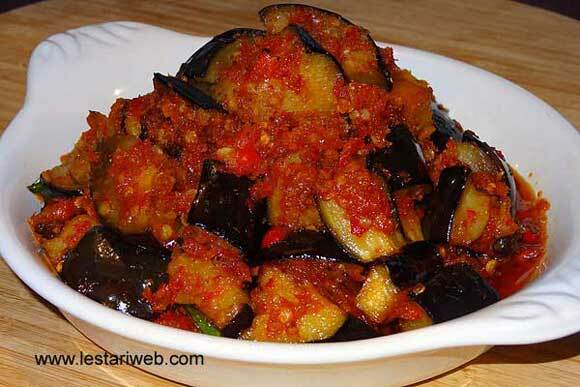 Fry the eggplant till golden brown (take about 5 minutes). Set aside to drain. 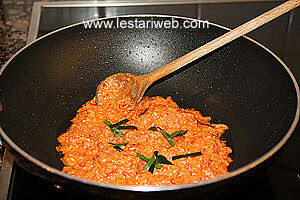 4 Let about 5 tbsp used oil, add the sambal paste & kaffir-lime leaf. 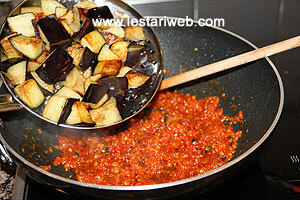 Stir-fry over medium heat until sambal is well cooked and oil begins to appear on the surface, take about 5 mins. Stir frequently. 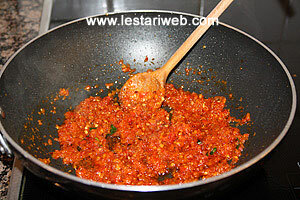 5 Sambal is done when the liquid had evaporated & the texture becomes scrambled. Adjust the seasoning, add salt & sugar to taste. 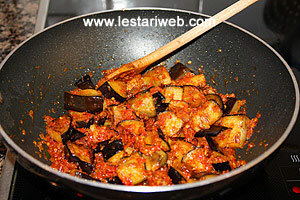 6 Add the fried eggplant/aubergine, stir to mix. 7 Cook just shortly and remove from heat. Serve hot with rice.